There is no shortage of things to explore in and around Lisbon, so we anticipate that you’ll probably want to relax after spending long hours on your feet traipsing across the city. 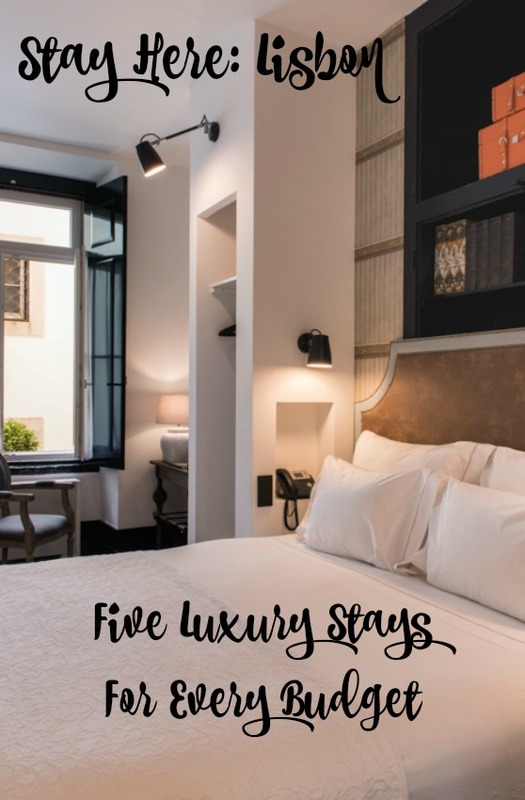 Below, we’ve enumerated our five picks for the best luxury stays in Lisbon, and we’re confident that any of these places will offer you the relaxation you desire. 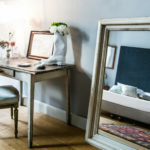 The hotels are listed in alphabetical order, and we’ve shared what we feel makes each hotel unique in its own right so that you can pick the place that best suits you. 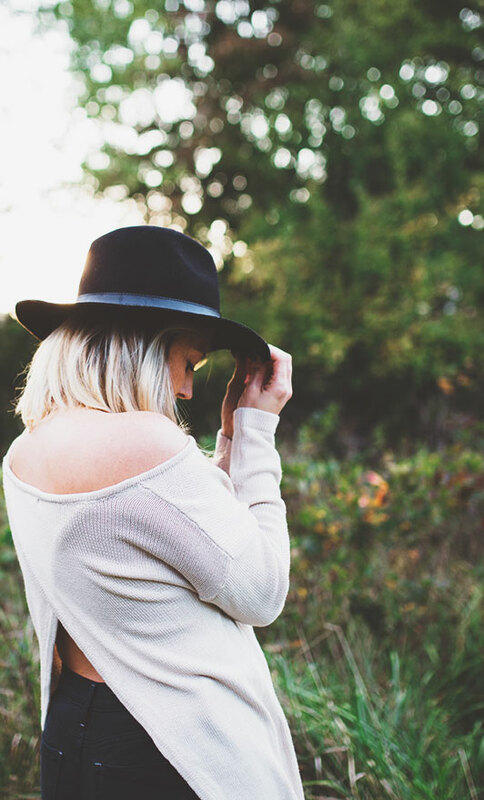 If you’d prefer to save on lodging and splurge on tours and food, our budget lodging choice is detailed in this post. 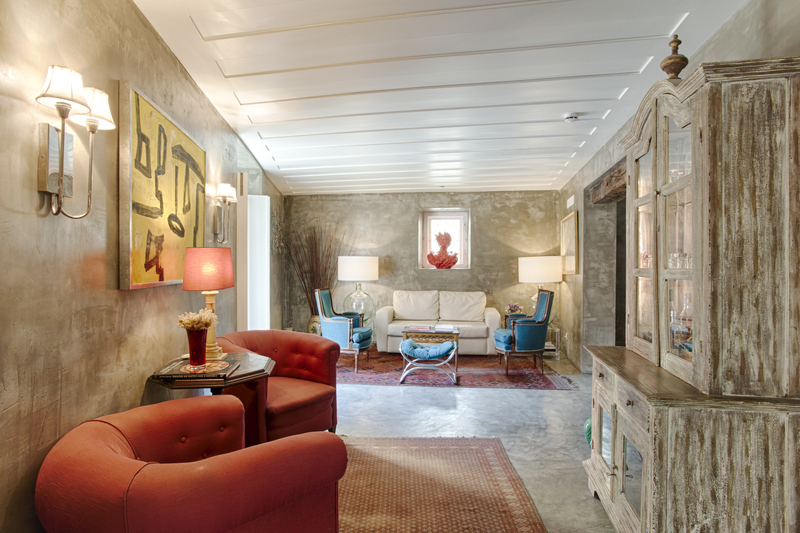 AlmaLusa hotel offers a charming cultural experience in Lisbon’s Chiado neighborhood. 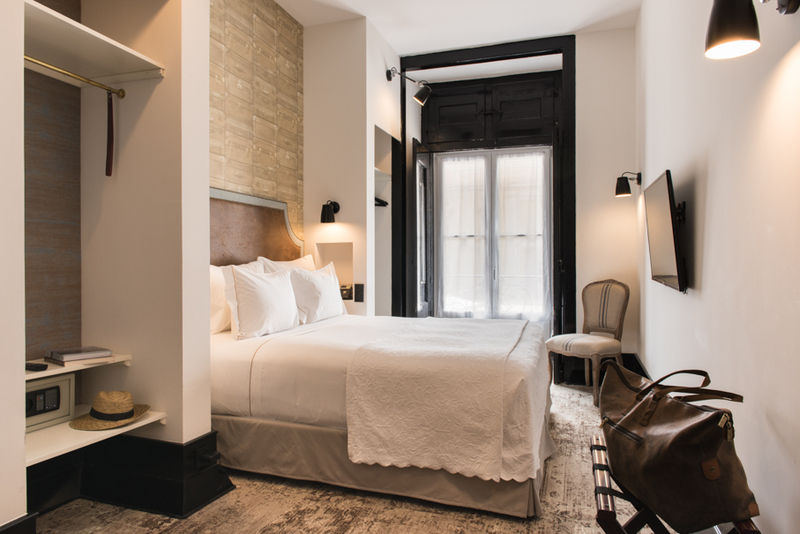 It is noticeable that intentional decisions were made while curating each component of the hotel, and everything comes together nicely to offer guests an authentic Portuguese experience. 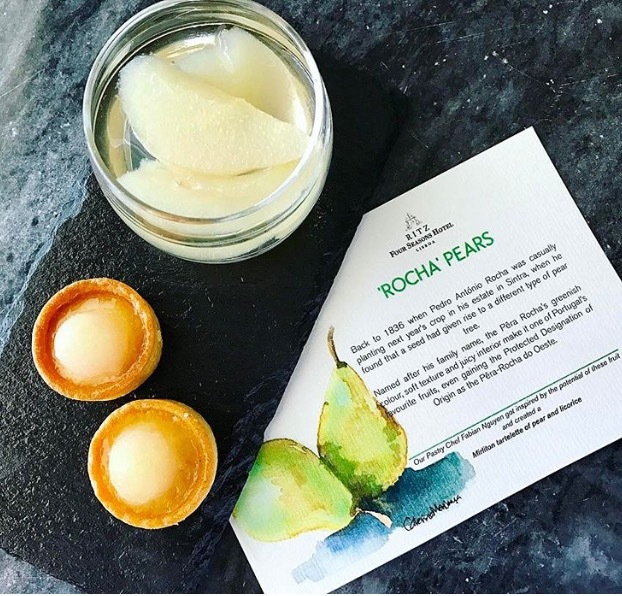 From the drinking water selection to the water closet amenities, and the coffee to the cotton towels, the hotel partnered with the best Portuguese brands to promote and share quality Portuguese products with its guests. Similarly, the hotel’s restaurant, Delfina, offers an upscale home-style Portuguese menu, allowing diners to experience what it would be like to dine in a Lisbon home. We were greeted with slices of a decadent and delectable chocolate flourless cake upon our arrival, as well as refreshing orange and clove iced tea in the lobby. The in-room Delta coffeemaker made enjoying coffee or tea at anytime of day easy. We loved the breakfast buffet, with coffee and eggs made-to-order. Enjoying it all in the cozy and classy dining space made the start of each day memorable and tranquil. Be sure to try the pumpkin jam, one of our favorite things about Portugal (our luggage is full of it now!). The hotel staff is ready to make any and all recommendations for where to eat and what to see in Lisbon. In fact, they’ve made it very easy with a smart phone in each room, pre-loaded with the hotel’s private app with recommendations to have at your fingertips at all times while sightseeing. 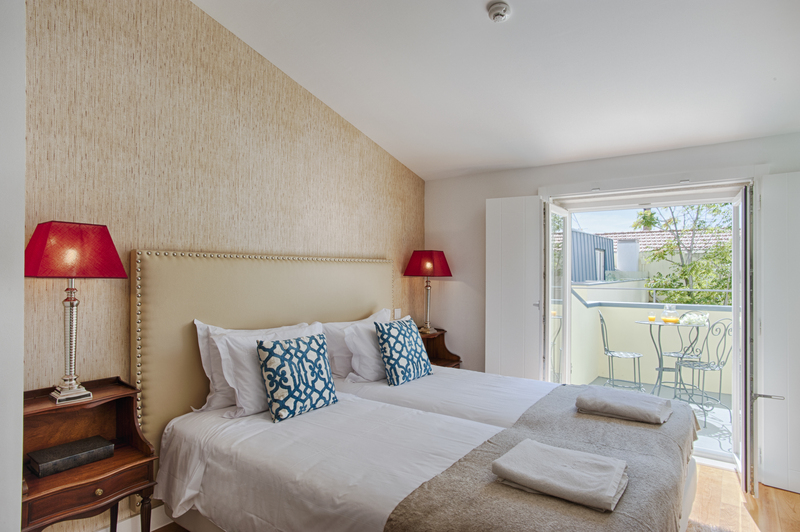 Dear Lisbon Charming House offers modern luxury with simple and standout locally-fabricated decor, like the gorgeous Portuguese tiles on the hotel’s bathroom floors. 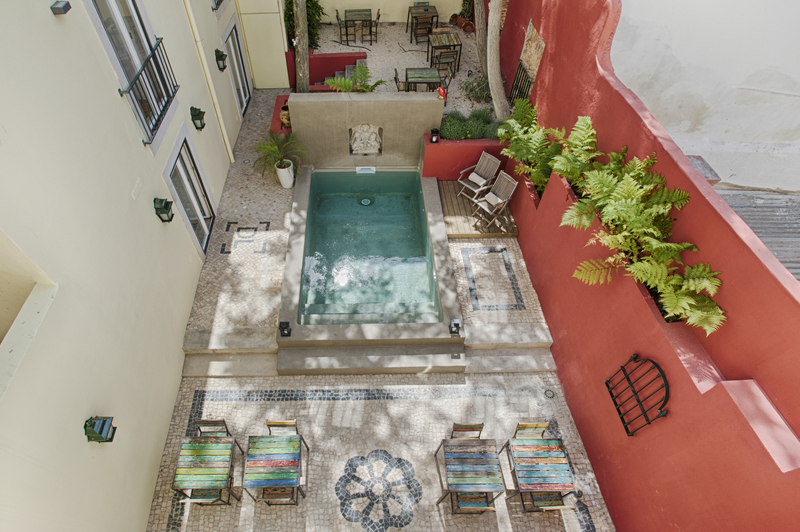 The hotel is on a side street off a main road in the city’s up-and-coming Santa Catarina neighborhood, making it a tranquil, but central place to stay and relax. We loved being able to explore Lisbon in a less touristy neighborhood. 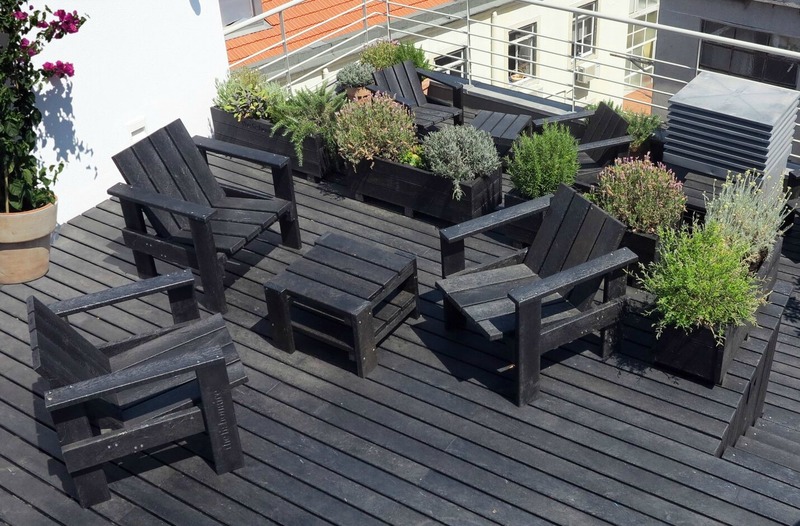 It felt more like a local neighborhood to us, while still being located within walking distance of many great restaurants and cafes, along with all the popular hot spots in Chiado and Baixa. 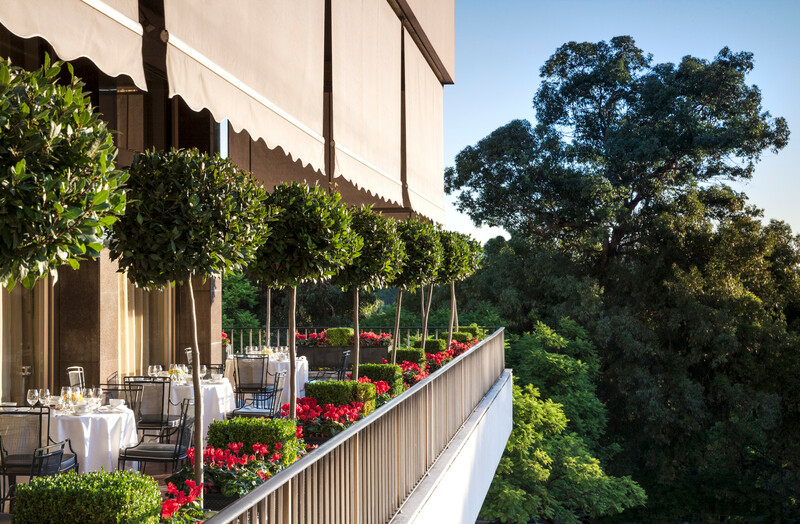 The outdoor garden terrace was tranquil and quiet, making it a perfect place to enjoy afternoon tea or the hotel’s morning breakfast buffet. The rooms were minimalist and chic, and full of warm, natural light. Fábia, the hotel’s operations manager, is engaging and kind, and really helped to orient us to the surrounding areas. 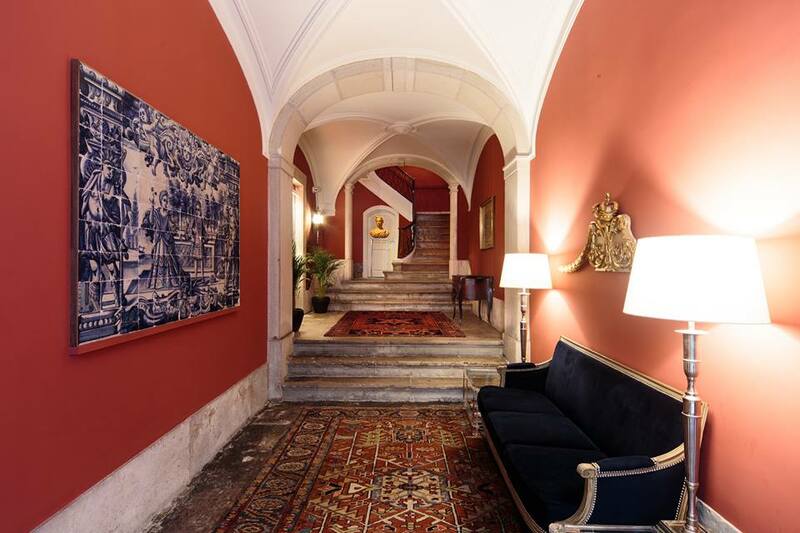 You’ll feel like royalty sleeping at the Dear Lisbon Palace Guest House, a 19th century palace that has been transformed into a nine bedroom Guest House in Lisbon’s hippest neighborhood, Chiado. The neighborhood was a literary center and it still seems reminiscent of that as you walk the hilly cobblestone streets and fall upon quaint neighborhood bookstores. Enjoying the hotel as a palatial guest means you’ll be greeted warmly and attentively, and even welcomed with a glass of Portuguese Port. The ambiance is regal without being pretentious. 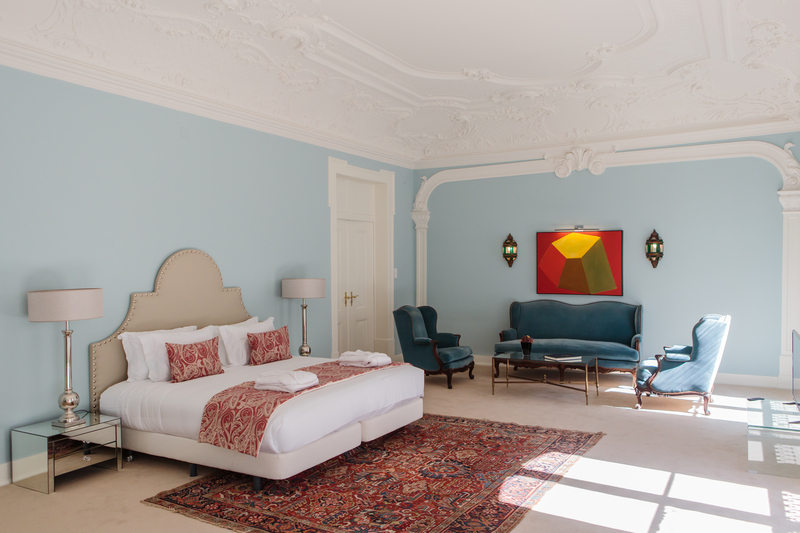 The rooms are very spacious, so we could spread out, repack our bags, and enjoy a cup of Nespresso or tea, complimentary in each room. There was no pressure to wake up at any given hour, because breakfast is made-to-order, served in the room, and delivered whenever you want it. 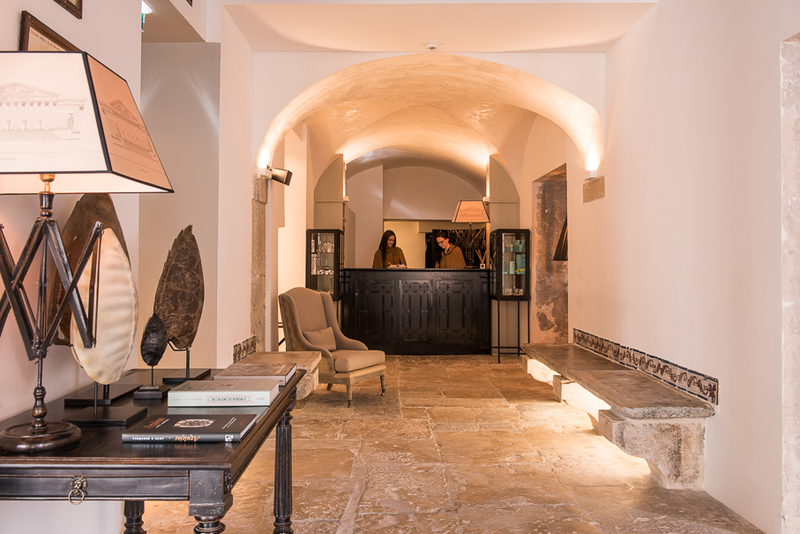 With 24-hour guest services, the Dear Lisbon Palace Guest House’s sweet and attentive staff can help you with any request during your stay. Plush bathrobes, because what would a stay in a palace be without bathrobes!? 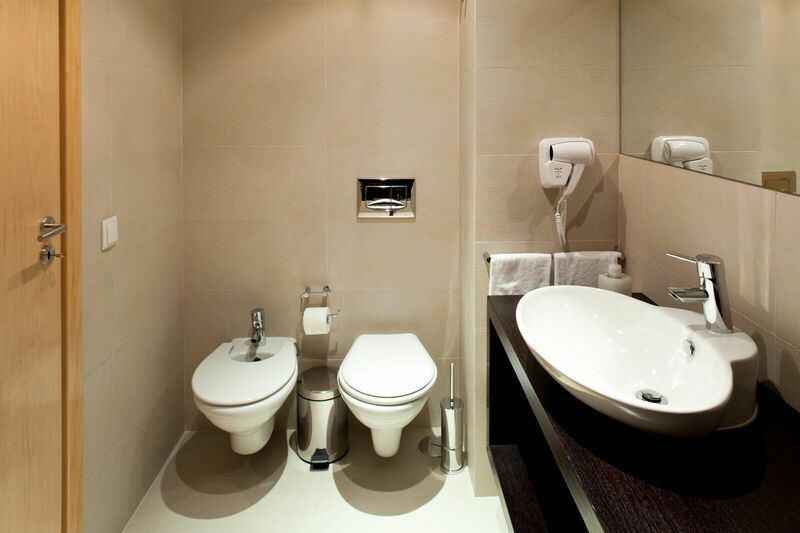 The rooms are spacious, with the smallest of the rooms being 452 square feet. 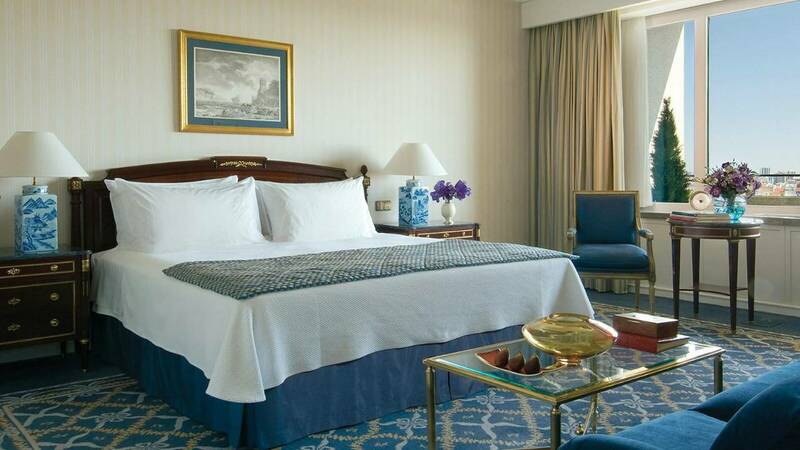 From the room’s large, lavish marble bathrooms with double vanities and a separate WC and bidet, to the plush, pillowy bedding, and expansive (96 square foot) private furnished terraces, everything at the Four Seasons Hotel Ritz Lisbon invites you to indulge in relaxation during your stay. 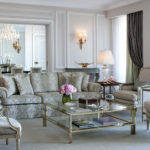 You’ll experience luxury and customer service at its finest at Four Seasons Hotel Ritz Lisbon. The customer service is personalized and world-class and the services offered are extensive and rejuvenating. Enjoy a grandiose breakfast buffet, complete with eggs and coffee made-to-order. 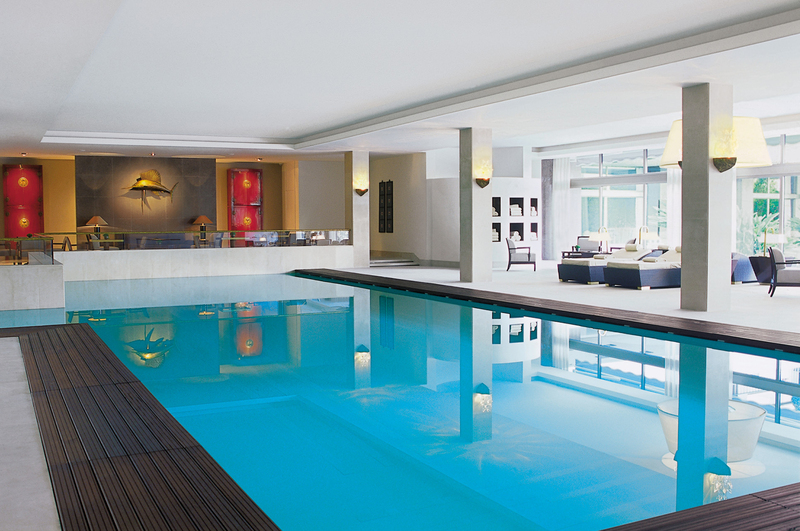 Read more about the Four Seasons Lisbon in our Hotel Spotlight here. We enjoyed our stay in the Deluxe King Room. 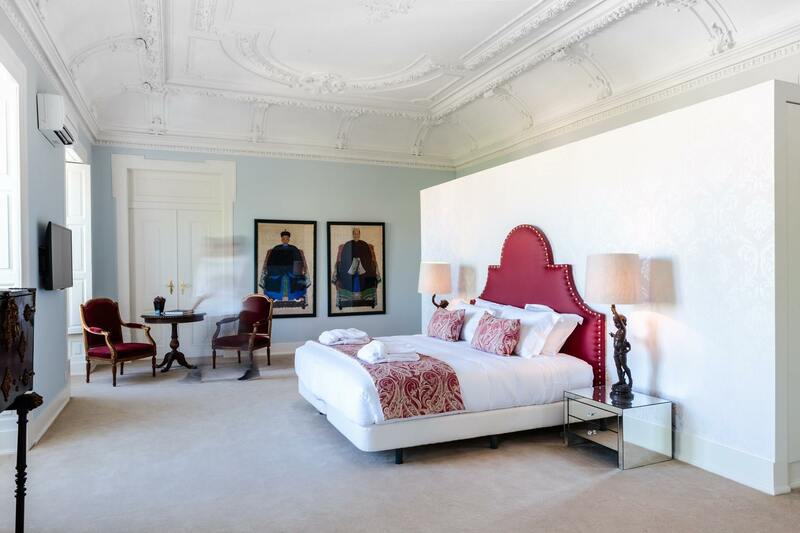 While the room is meant for two, it will feel big enough to comfortably accommodate four. We loved the sushi and nigiri at the Four Season Lisbon’s newest restaurant addition, O Japonês. With the spa located within the hotel, it made it easy to take advantage of the sauna and steam room more than once per day. It’s open to guests from 6:30am to 10:30pm. 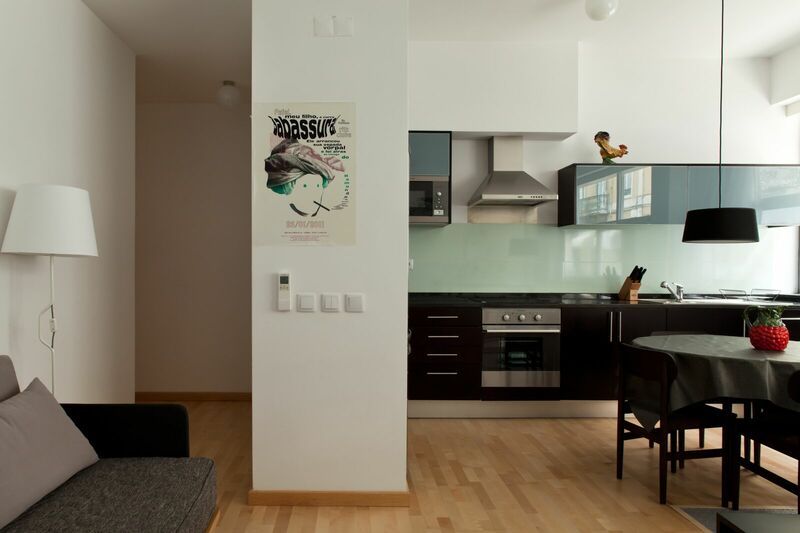 The apartment-style living at The Lisbonaire will make you feel like you’re living in Lisbon, as opposed to being an out-of-towner. 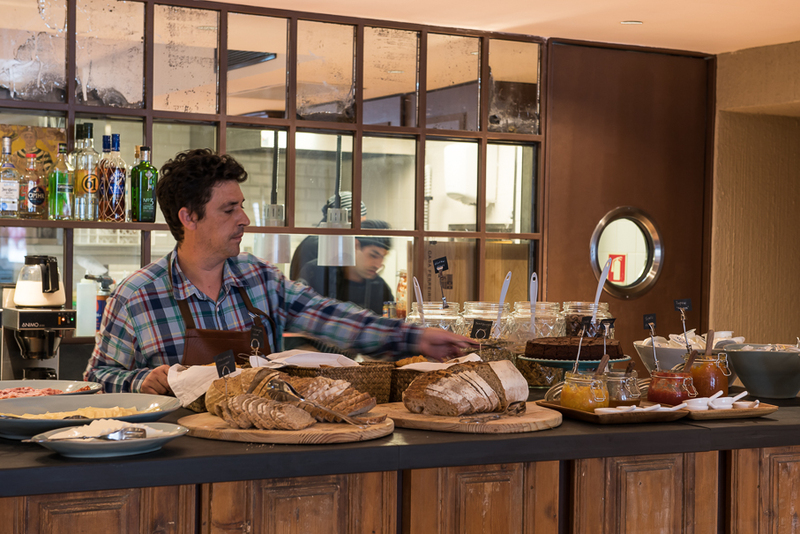 Because the Lisbonaire is fully equipped with a kitchen, we enjoyed making our own meals using local ingredients. 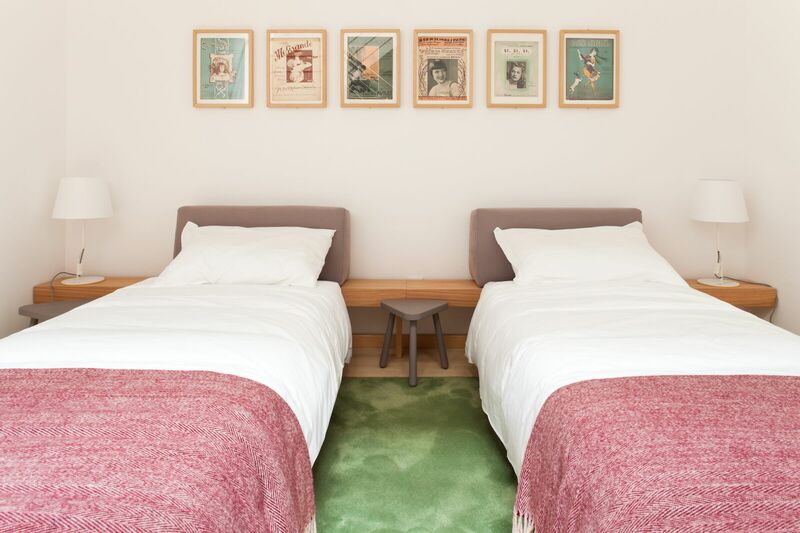 The style of the apartments is simple, with thoughtful Portuguese touches that we loved, including the names and numbers of Lisbon bus stops displayed on the wall as art. We also appreciated the Portuguese ceramic rooster sitting on our kitchen table, and the popular Portuguese Delta coffee maker on the countertop. The Lisbonaire is located in an ideal area of the city so you can walk to most places of interest. It’s a stone’s throw away from the popular Rossio Square. Key-less entry to the complex and our apartment made arriving late at night a breeze. It was also nice not having to worry about losing a key while out and about in the city. The apartments are spacious and family-friendly with a fully-equipped kitchen and everything you’ll need, including a washing machine. The outdoor rooftop and apartment balcony were nice spaces to enjoy breakfast and coffee, or read or chat with friends. There’s a common space downstairs with games, comfortable seating, and an honesty bar. 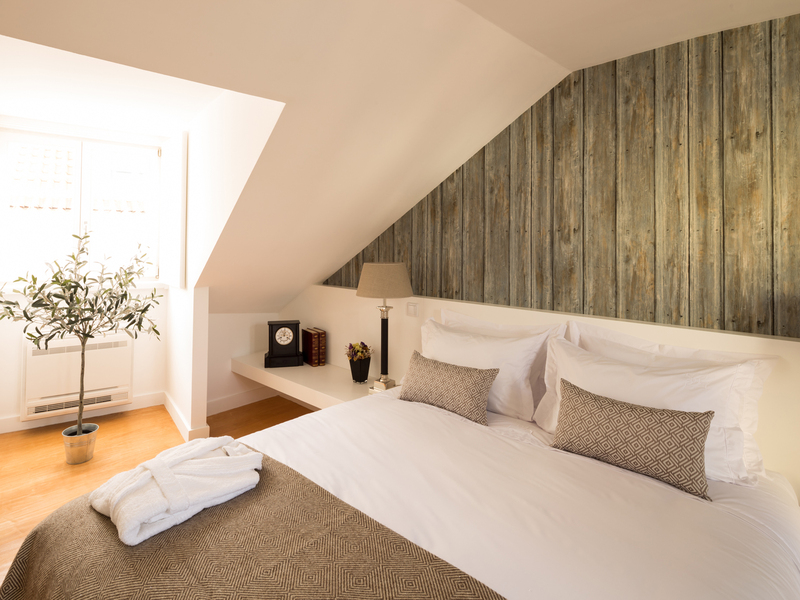 We hope that this guides you in selecting your ideal lodging in Lisbon, and that you’ll enjoy exploring the city as much as we did!